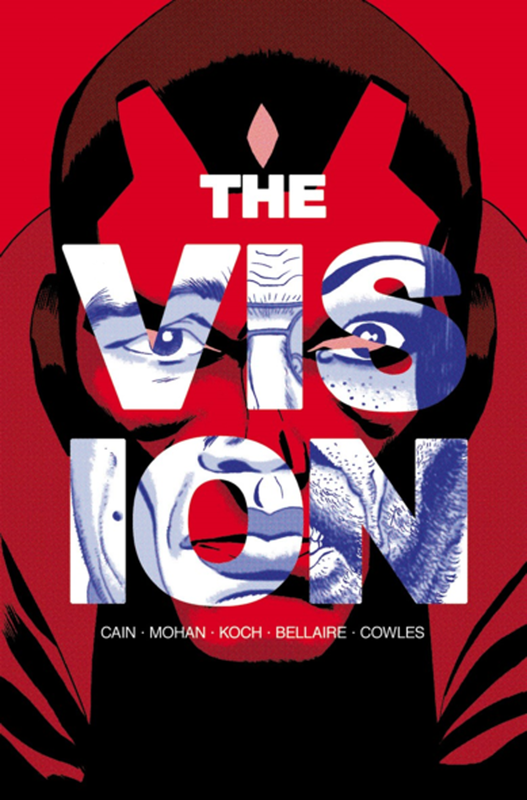 Tom King, Gabriel Hernandez-Walta, and Jordie Bellaire’s The Vision was a landmark series for the Android Avenger and Marvel at large. And now, following in its footsteps is a brand new series from Chelsea Cain, Marc Mohan, and Aud Koch. Above: The haunting aftermath of The Vision is being explored in a new six-issue miniseries. Cain recently made a return to both social media and the world of comics, with an announcement earlier this week that she will re-team with Mockingbird artist Kate Niemczyk for an Image Comics series named Man-Eaters. And now, she’s helping to craft a sequel to one of Marvel’s best comics in years! The Vision wasn’t the only big announcement of the panel—Marvel also confirmed new digital original series for Luke Cage (by Anthony Del Col and Jahnoy Lindsay), Iron Fist (by Clay McLeod Chapman and Guillermo Sanna), and the Colleen Wing/Misty Knight team up squad Daughters of the Dragon (Jed MacKay and Travel Foreman). In a similar manner to the recently-announced Jessica Jones ongoing, these series will release in bumper-sized digital issues first, before being collected in print form as a single “season-long” storyline. Basically, the Marvel Netflix heroes are now getting the Netflix-ized comic treatment.